A beautiful Summertime Peony Posy with a delicate and special scent. 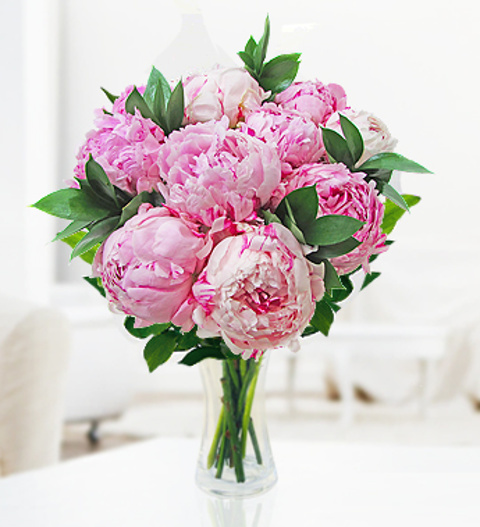 Peonies are in season late Spring into early Summer and are available for a limited time only. These are truly special flowers that reveal fluffy petals as these flowers blossom. This arrangement is skilfully hand tied and suitable for all occasions. Each bouquet comes with a complimentary box of Belgian chocolates and is available for UK next day delivery. Chocolates may contain nuts.